Ballroom is 3,186 square feet and can seat up to 300 people. 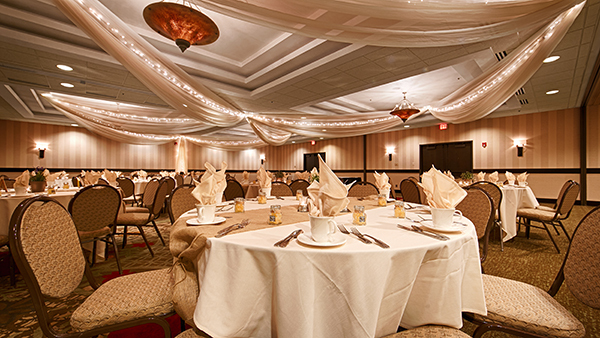 It divides evenly into three separate rooms to accommodate all meeting styles. Divided sections will seat approximately 60-100 guests per each section.